2007 Oklahoma State Cowboys season preview from Maddux Sports. Below you can find our official Oklahoma State Cowboys football preview as well as the 2007 Oklahoma State Cowboys Football Schedule. Dont miss our Free football predictions against the bookmakers college football betting line. To show the strength of the Big 12's South division, consider that the Oklahoma State Cowboys (8-5 overall, 4-4 Big 12) finished tied for fifth in their division but still went to a bowl game! With a dynamite offense that managed to average more than 200 YPG in both passing and rushing, the Cowboys scored an average of 35.2 PPG. They beat Alabama 34- 31 in the Independence Bowl. Junior QB Bobby Reid (48% COMP, 2,266 YDs, 24 TDs, 11 INTs) racked up a total of 29 TDs and 2,766 YDs in both the air and on the ground. But he played inconsistently, making some bad decisions. The Cowboys want to see him run more. Senior RB Dantrell Savage (126 CAR, 820 YDs, 8 TDs) was injured part of last season and, now healthy, should be even more powerful this season. The offensive line has some holes but there are quite a few quality replacements waiting to step-up. Senior receiver Adarius Bowmen (60 REC, 1,181 YDs, 12 TDs) can break it big and will be a go-to guy. The Cowboys, who have had an iffy defense, return sophomore LBs Patrick Lavine (70 tackles, 41 solo) and Chris Collins, both of whom were named to freshmen All-American teams. Senior defensive end Nathan Peterson (8 sacks) is back as the returning sack leader. The secondary returns three starters, all of whom can pick the ball. The front four have experience but none started last season. The Cowboys should finish with about the same record as they did last year, making them bowl eligible again. Their major swing game is against Texas A&M, while they also have a chance at upsetting a visiting Texas team. Oklahoma State will score plenty of points and be a lot of fun to watch. For more info on the 2007 Oklahoma State Cowboys football program, view the Cowboys website or read up on the rest of the Big 12 ncaa football teams below. All of the Big Twelve Conference teams are listed to the right. Each team link gives our breakdown for the Big12 football team. For non Big Twelve teams visit our 2007 college football preview page. Our main Big 12 Conference Preview page features a break down in terms of order of finish for the North and South divisions. These predictions can be used for help with futures betting or season win totals. Maybe the weakest of the major BCS conference don't sleep on teams like Oklahoma, Texas, and even Kansas making a run towards a BCS January bowl game. 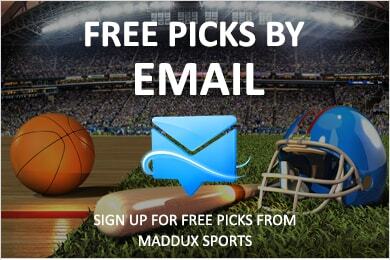 Our home page features College Sports Predictions from Maddux Sports!